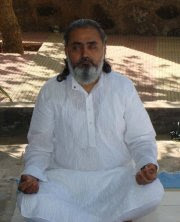 Prem Nirmal: What is Awareness? Awareness is a state which emanates from the divine part within us. It is the perception of the now, of the present moment in all of its reality. In a state of awareness, we are not necessarily thinking - we are just being there, doing what we are doing, walking, working, talking etc. Experiencing and perceiving everything with clarity and objectivity. When we are aware we are simply in the moment, using all our senses, perceiving everything that is around us and within us. Time seems to stand still. We start to experience happiness and awaken our true intelligence because we feed our divine aspect, our consciousness, that which we generally completely neglect. We may think we are aware, how could we not be...? What we do not realize is that our awareness is only a fraction of what it could be and, although a natural state, it takes will and effort to remain in awareness, in a state of perception. a) Walking, being aware of ourselves within our environment - that may encompass other people, trees, cars, buildings, sounds, smells etc. etc. b) Walking home in a hurry, thinking about what we are going to cook for dinner or how unfair our boss or colleague was at work today, etc. Totally unaware of what is around us. It is most likely for us to be in scenario ‘b'. This is the way we have learned to behave. We normally know little or nothing else. The majority of us are lost in thoughts and would not know what is happening around us, unless we suddenly heard a loud sound or came across a dangerous situation. Our moments of awareness come and go randomly and, when we are aware, we are still only half so because we are not experiencing the full potential of Awareness. Most people have at some time in their lives experienced briefly a measure of their potential. During a moment of peace and tranquility, perhaps while in the wilderness people can experience sensations of peace with the environment - with the world. Walking in the woods, enjoying the play of sun rays falling on the blades of grass dancing with the wind! And the Awareness is activated and you enjoy the bliss of the moment! But if your mind is active, these times, instead of “being”, the “exception” can become our normal state! Athletes have exercised their bodies so that they are more developed than those who don't. So too we need to exercise our awareness to make it stronger. A muscle not used wastes away - it is the same with awareness. The more we use our awareness the greater our capacity to use it grows. This is not all however. We also need to get rid of all the negative states we have within to truly open up our awareness. It is these negative emotions and thoughts that cloud our awareness and make us almost asleep during our waking moments. Observing within we can see all these states and can understand and gradually eliminate them. This increases the amount of consciousness that we have while at the same time decreases the subconscious. This brings about a lasting increase in our level of awareness. A person with full awareness is a person who is leading a very spiritual life and has none of this anger, jealousy, fear, hate etc in their lives. They are not distracted by those random thoughts which just seem to come upon us without purpose; they have mental and emotional discipline. We activate the divine part within us, our consciousness; this provides the basis for spiritual and psychic growth and development. Latent faculties within such as clairvoyance, telepathy, intuition, ESP etc, have a chance to be activated. Directing the awareness within at the same time as we perceive the external world, we can observe thoughts, emotions and feelings; this enables us to achieve self-knowledge and to change. We can practice self-observation without being quickly re-absorbed into the mind. We can be in the correct inner state for any event or situation that we go through. Our sense of Awareness gives us a connection with other people - with the world. If we feel that connection with the environment then we would not pollute it. If we all had that union with other people we would not start fights or wars. Anyone who is seeking a more spiritual life needs to become more aware. Look at the place that you are in, use your five senses to perceive it, then at the same time look inside at thoughts, feelings or emotions, you will notice that these change the perception of reality which you perceive with your five senses, they color it or even make it disappear. Now observing these within, come back to the observation of the place you are in. You need to do this with everything that appears within, again and again, so that you perceive where you are clearly, without that perception being altered by thoughts, emotions or feelings. Learn how to watch inwardly and outwardly at the same time. You can do this with any activity during the day, try it when for example you are punching the keys on your computer, you will notice how it takes an effort to be aware of what you are doing and how little time is spent actually being aware in the normal course of a day. To increase this properly and ultimately unite the consciousness with the Divine, producing bliss, you will need to do further practices which are explained during Awareness development Program. Author of this article, Prem Nirmal regularly conducts “Awareness Development Program” for those who are interested in self growth and self mastery. Prem says, “Awareness is the ultimate key to unfold the secrets of your conscious Self, the deepest recesses of your being and let you know, who you are!” Awareness activation is the ultimate adventure you can take up to explore your Self. The process lets you understand your unconscious habit and behavioral patterns and relieves you from such patterns to know your real Self. For those of you who are interested in academic aspects and scientific research, here are the additional inputs. Awareness is the state or ability to perceive, to feel, or to be conscious of events, objects or sensory patterns. In this level of consciousness, sense data can be confirmed by an observer without necessarily implying understanding. More broadly, it is the state or quality of being aware of something. In biological psychology, awareness is defined as a human's or an animal's perception and cognitive reaction to a condition or event. Awareness is a relative concept. An animal may be partially aware, may be subconsciously aware, or may be acutely aware of an event. Awareness may be focused on an internal state, such as a visceral feeling, or on external events by way of sensory perception. Awareness provides the raw material from which animals develop qualia*, or subjective ideas about their experience. Also used to distinguish sensory perception is the word "awarement." "Awarement" is the established form of awareness. Once one has accomplished their sense of awareness they have come to terms with awarement. Popular ideas about consciousness suggest the phenomenon describes a condition of being aware of one's awareness or, self-awareness. Efforts to describe consciousness in neurological terms have focused on describing networks in the brain that develop awareness of the qualia* developed by other networks. *Qualia mean subjective quality of conscious experience. Meditate so deeply that you disappear completely!!! Thanks Guruji for this wonderful article on Awareness. It explains very clearly what awareness is and if one has to increase his awareness what methods he has to follow. Guruji, I would like to know more about Awareness watching Awareness. Sir I have been fortunate to have come in contact with you and you have poured out your knowledge of spirituality liberally. It is for this reason that I am able to lead a deeper life of awareness. You have made me 75% aware of myself and the world around. Your article confirms this to me. Thanks a million! Your sharing explains Awareness in the best possible way.Awareness is not just being aware of something its much more beyond that.The Awareness Development Program(ADP) was the biggest breakthrough. Thank you for making us realizing the importance of Awareness. Thanks you sir, you explained awareness in very simple words and it really is very difficult to remain aware during typing. But I think that with practice, it will become easier. excellent explanation. I will try the method suggested. Thanks Sir for the article on 'Awareness'. It forms the summary of what you have been teaching us all this while. I am constantly practicing 'Awareness' throughout the day. I feel that awareness is making me more successful spiritually n materially too. God bless your efforts n may they fructify. Fond Regards.